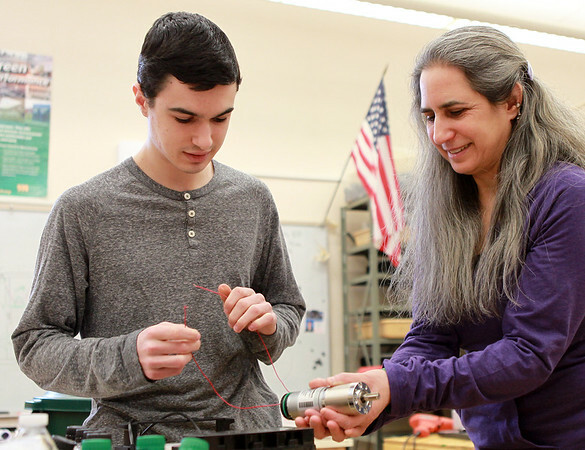 Ipswich High School senior Mason Sirois, gets some assistance from his mother, Lakshmi Sirois, to test a motor for the robot that the Ipswich High FIRST Robotics Team is building. DAVID LE/Staff photo. 2/7/15.